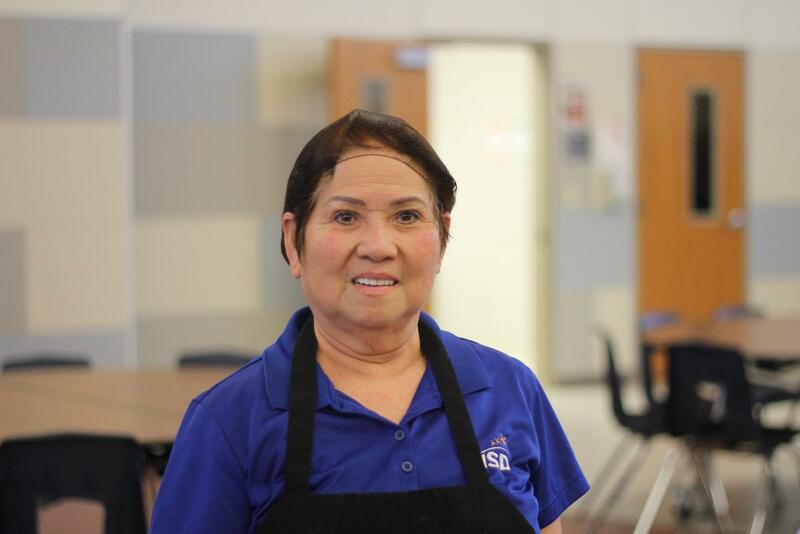 Cafeteria employee Sarin Lam poses for a photo. She shared her story of immigrating to America in 1975. At around 20 years old, cafeteria employee Sarin Lam began the run from her country, Cambodia. During the Vietnam War, Lam’s country was taken over by communists, forcing her family to move into Thailand’s refugee camp. Americans came to the camp with sponsors in America for Lam and her husband, allowing them to come to the United States on Sept. 23, 1975. Lam said her journey to the United States was empty handed — no money, no clothes, nothing. In Cambodia, after she grew up with her parents, she was arranged to marry. Until her and her husband were forced to run away from her country, Lam didn’t work — she was a housewife. In Cambodia, the communist invasion meant she was not able to share any of her political views. Although Lam had a bad childhood experience in Cambodia, she goes back to visit. Lam said she feels like she has a safe community in America versus back in Cambodia.